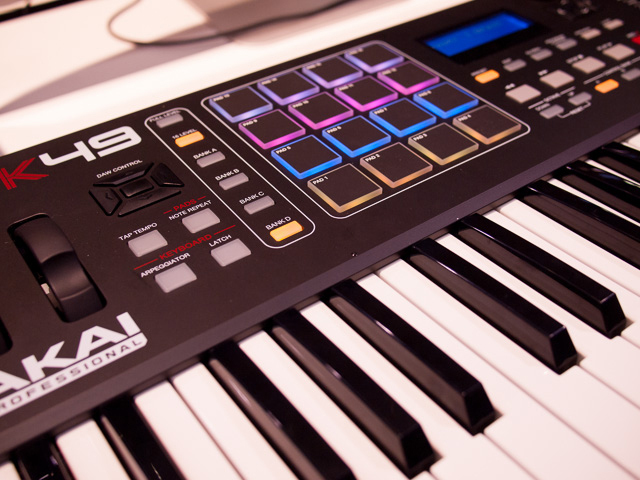 On our third day at NAMM 2014 we check out some cool new controllers, sequencers, and accessories from Arturia, Sennheiser, Universal Audio, Akai, Livid Instruments, Roland, and more.. 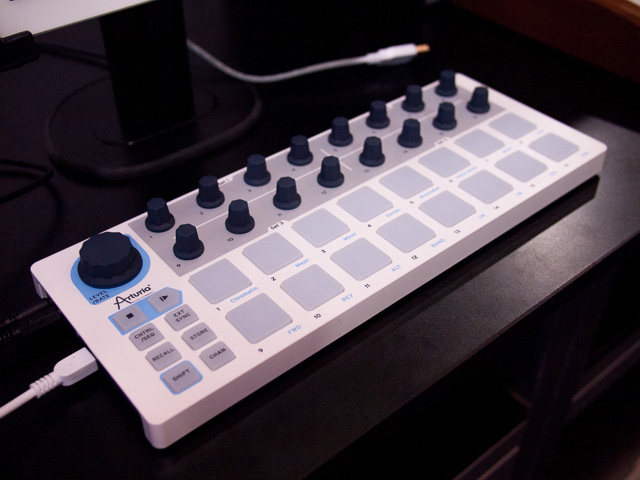 If there was one device that we’ve seen at NAMM so far that sparked big excitement, it was Arturia’s Beatstep device. Arriving in March at a street price of approximately $99, the Beatstep is a USB controller that doubles as a 16 step hardware sequencer with CV and MIDI outputs. This means if you power it with a USB power cable, you can use the sequencer (without a computer) to sequence hardware synths and drum machines. UA brought big news to NAMM this year in the form of Apollo Twin – a 2 x 6 audio interface that sports UA’s incredible DAC / ADC, a Thunderbolt connection, and the ability to expand to more inputs and outputs. This is the first UA Apollo device that falls under the $1000 price range and will allow many project studios to upgrade to UA sound. Read more about the Apollo Twin at UA’s website. We were excited to see nu desine Alpha Sphere on display at NAMM this year. 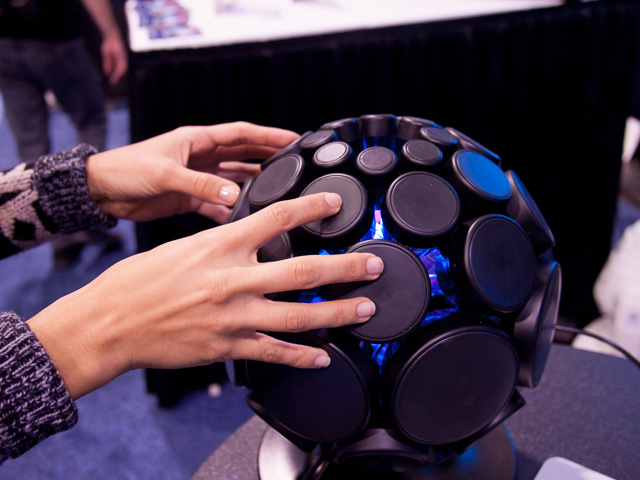 The spherical, touch-sensitive controller has been featured previously on our blog and continues to bring inspiration to those looking for a different way to interact with music. 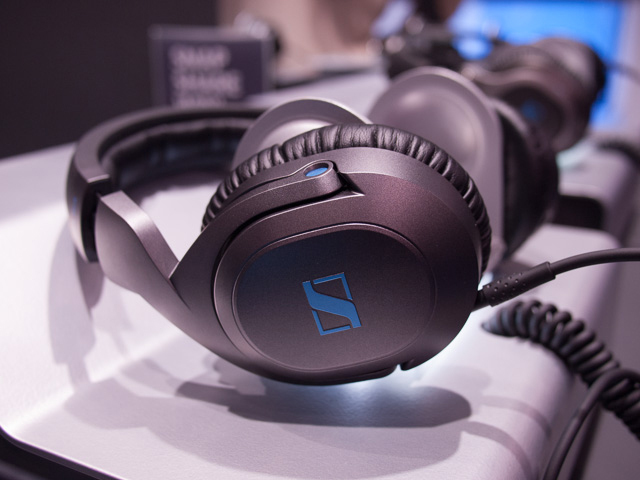 Sennheiser makes some of our favorite headphones, so we were eager to see the new DJ headphones that were on display. The HD6 Mix, HD7 DJ and HD8 DJ are brand new designs that are aimed directly at DJs and electronic music producers. The HD6 Mix ($279.95), HD7 DJ ($329.95) and HD8 DJ ($389.95) will be available at the end of this month. NAMM 2014 – Roland Aria – M.I.A. After the tease of a new drum machine and vocoder (and apparently a third and fourth Aria module on the way), Roland arrived at NAMM 2014 with no Aria to show. A rep on the floor tells us that we will hear more from Roland on these devices in February. Update – the above teaser video from Roland launched today, indicating that we will indeed hear more about Aria in February. Akai has introduced a number of updates to their popular controller series this year, including new versions of of their popular MPK49, MPK25, and MPK MIDI controller keyboards. For more information, head to Akai’s website for details and pricing. 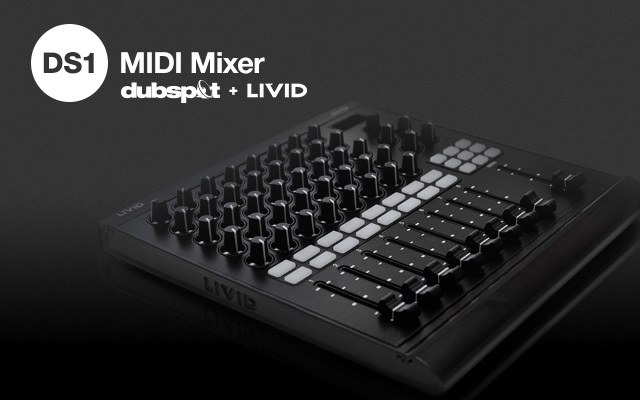 While we are on the subject of MIDI controllers, we’d ike to mention that Dubspot and Livid Instrumens are proud to present our new DS1 MIDI Mixer – a USB based controller with Nine 60mm faders, 44 rotary knobs with backlighting, 1 push encoder, and 25 RGB buttons. 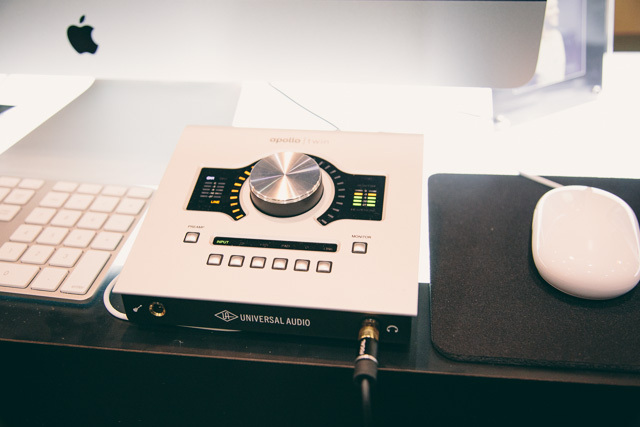 Read more about the DS1 on our blog and at Create Digital Music. « Dubspot @ NAMM 2014! Part 2 – Software Special w/ Korg, Aeromidi, Bitwig, Teenage Engineering, and More!